I have pivoted the data, based on the year and now the population for each year is presented on an individual row. 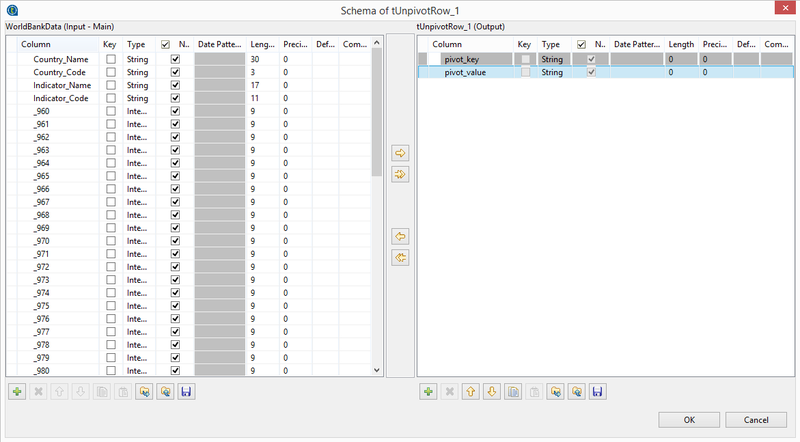 The Talend job to do this couldn’t be simpler: tFileInputExcel -> tUnpivotRow -> tMap -> tFileOutputExcel. 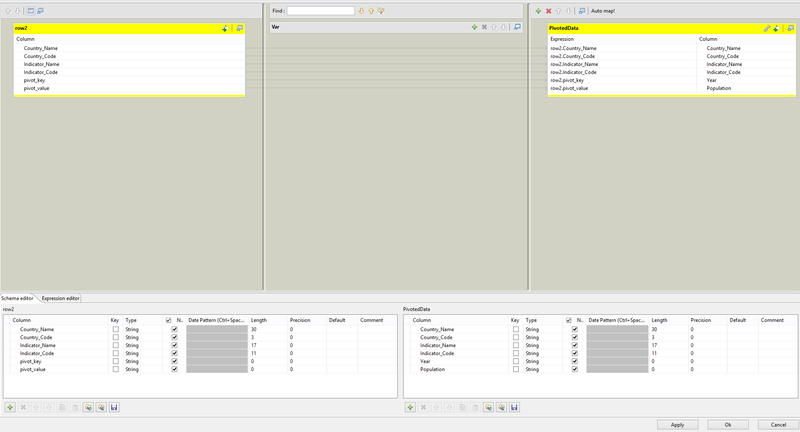 Nothing fancy in here, and it’s using the Repository context I set up by having Talend fetch the schema from the input file. It’s important to note that Talend doesn’t like column headers beginning with an integer, so it changes 1960 to “_960”, but not to worry as we can fix that later on within the Talend job. 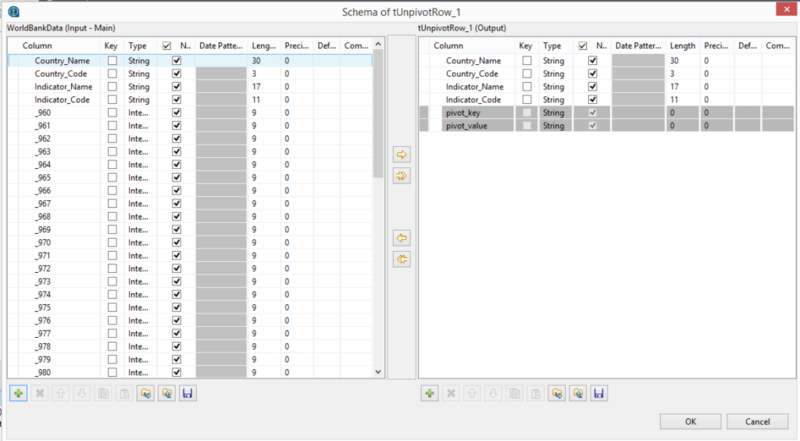 pivot_key is the column header and the pivot_value is each row with a value in that column. So, column _960 will become x amount of rows, depending on how many values (population numbers in this case) are in that column. The tMap takes all the prior information and feeds it through to an output, where we’ve defined the pivot headers as Year and Population. Note that tUnpivotRow converts all its columns to String type, so you’ll need to convert types either in the tMap or by using a tConvertType component later on. 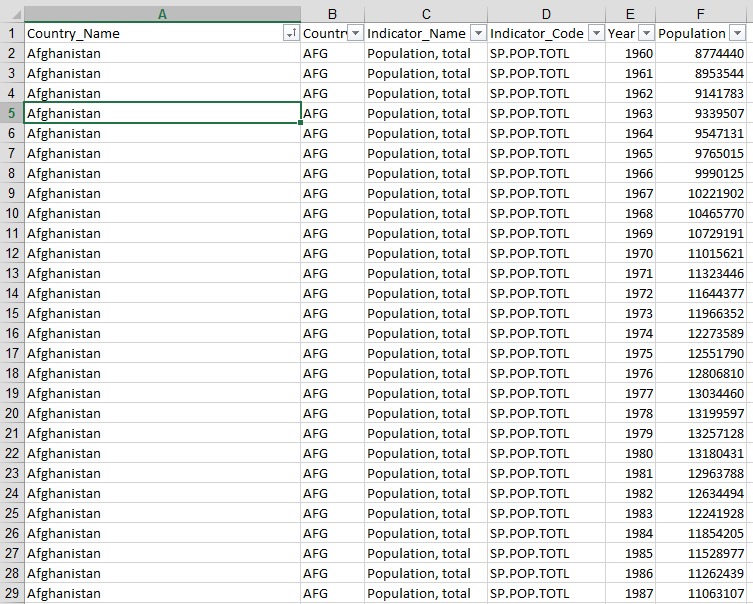 Run the job and in this case, we have converted population values based on 243 distinctions into 13365 rows. As I noted earlier, I used this approach to denormalise datasets for my two other blogs about Eurovision Song Contest Voting and ‘History of Refugee Movements’. You can download the tUnpivotRow component from the Talend Exchange, and follow instructions on how to install it in Talend here.